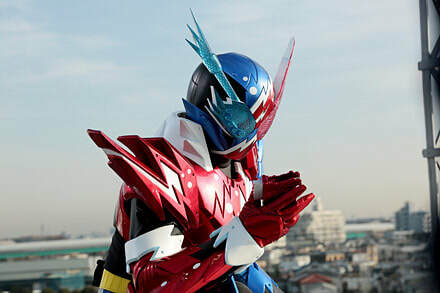 Here is the title and summary for the 22nd episode of Kamen Rider Build which will feature the battle between Build and Grease plus the debut of Kamen Rider Build HawkGatling Hazard Form! Episode 22 "The Tearful Victory"
"The Rider Proxy Battle has finally began and the fate of Touto and Hokuto lies in the fist of their representatives, Build and Grease and the prize will be the Pandora's Box! Can Sento's newly devised strategy and the new Full Bottles that he acquired from Blood Stalk be enough to win against the power of Sawatari? Or will he go for the Hazard Trigger?"